I just heard part of a speech that Hillary Clinton gave to her supporters the day after her upset loss to Donald Trump in the presidential election. She was quite humble and gracious in her remarks. This was a sharp contrast to her tone during the campaign, when she proclaimed that her opponent was unfit for the office of president, denounced many of his supporters as a “basket of deplorables” and wondered why she wasn’t up by 50 points in the polls. 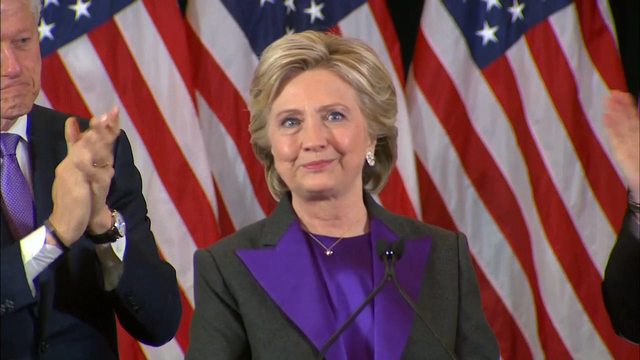 If Mrs. Clinton had been as humble and gracious during the campaign as she was in her post-election speech, we probably would be talking about our nation’s first woman president. Her lack of humility set her up for a painful fall. This reminds me of a similar speech given by Al Gore, when he finally conceded the election to George W. Bush in 2000. He was very humble and gracious in his speech. However, Gore had been anything but nice during the presidential debates–sighing, rolling his eyes and invading Mr. Bush’s personal space. Gore, like Mrs. Clinton, very likely would have won the presidency had he only humbled himself before the election rather than after. The Bible continually warns us against the sin of pride. Pride so often goes before a fall. How much better it is to practice a lifestyle of humility and grace. “Humble yourselves, therefore, under God’s mighty hand, that he may lift you up in due time.”—1 Peter 5:6. This entry was posted in Christian Living, Current Events, Leadership and tagged 1 Peter 5:6, Al Gore, concession speech, Donald Trump, Hillary Clinton, humility, illustration, presidential election, pride. Bookmark the permalink.